Map of American elementary school and its surroundings. Miss the great school of life, then try to plunge into the atmosphere again, only this time in the digital world! This map offers all the charm of the higher school! Atlantis – a lost island in the Atlantic ocean, in which lived the most advanced of human civilizations. 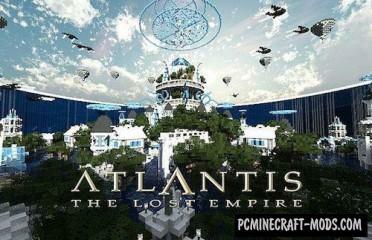 Feel like ancient Atlantis and try to cope with all the mechanisms and fixtures of a lost civilization! The map consists of two parts, first the player must gain experience by completing simple mini-tasks, the second part consists of three difficult tasks. 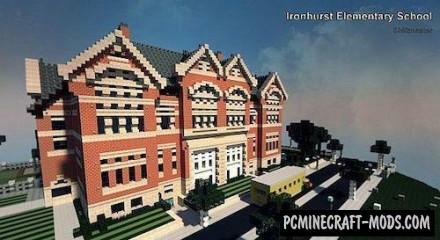 Exciting adventure that includes the most difficult parkour, nice fishing, challenging bosses and much more! Map with beautiful castle in Japanese style. Beautiful nature and castle, which is fascinating both day and night. 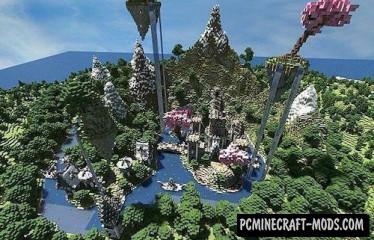 There are lots of surprises on this map, so the totems and bridges. And then everything is in your hands. 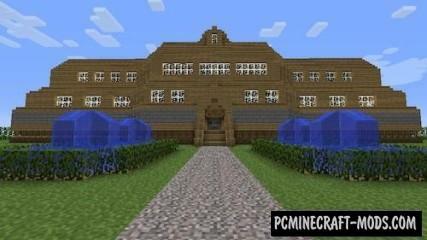 A large house or even a mansion with a beautiful interior and gorgeous architecture awaits you on this map! Don’t miss the opportunity to gain invaluable experience using all the possibilities offered by this mansion for protection and development of their skills! Map big island, which is cherished castle and a small beautiful and nice village. Flying Islands and beautiful architecture does not get bored for a second! Just dive into this beautiful map. Feel, what can the digital world. House in modern style, you have to settle. If you dreamed about a beautiful and large mansion, then this map is especially for you! Feel young and energetic designer of his house. Everything is in your hands, so where do you start? Map with beautiful island on which is located the dragon lair. Incredibly beautiful and stunning map, it is amazing! 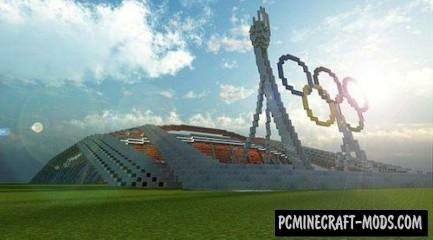 If you can handle the dragon minecraft world, or just a coward? Test yourself here and now!